For anyone looking to detail/wash their car, my friend owns the detail bay at the Petro Canada at 900 Progress Ave (401 Markham Rd) and he will be providing a 50% discount on August 25th/August 26th to all Bimmercruise attendees. Just roll up and mention BimmerCruise and he will give you a discount on any package that you want to get. There will definitely be an e36 m3 there with Type 1s. Custom. Merging my headers into a single 2.5" with vibrant cat, resonator, and muffler. 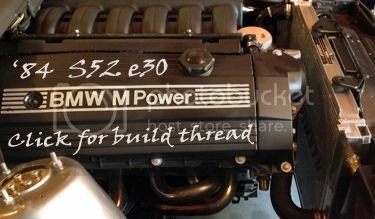 its even the same colour as my e36..... wow, and a euro motor ..... i found a set im going to buy but i wont get them here in time for bimmercruise.....is that the eurospec that was forsale on max like a year and a half - two years ago? so u sign up for lapping there??? or do u do it now?? You can sign up there.